It was several months ago late in the evening, when x and I returned home to his place. I went to take a shower and he went into the living room, to wind down. As I got out of the shower, I walked into the living room. I could see the reflection of his face, from the fireplace that was burning. He looked exhausted. I walked over to the couch and sat down next to him. I pulled the towel off of my head and asked him if he wanted something to eat? He didn't answer me, so I just sat back and stared at the fire. A few minutes later he said, "get before me." I got up, off of the couch and knelt down on the floor in front of him. He pulled out an envelope, from the bag that was next to him. He opened up a letter, that contained a photograph inside. 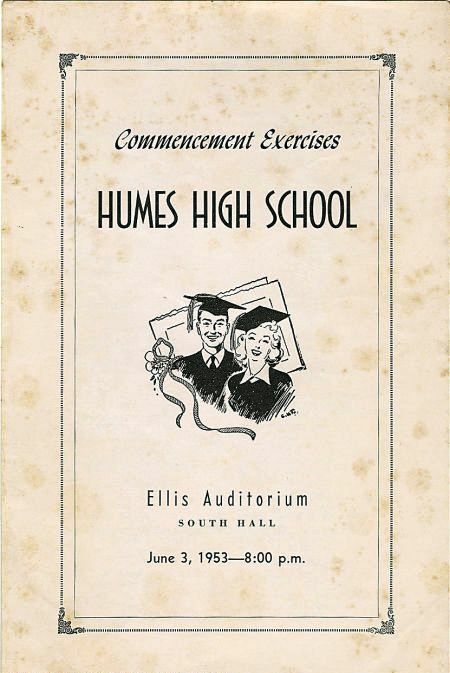 The picture was a High School photo, from the Class of 1953. He pointed to one of the men in the photo and asked me, "do you recognize him?" I looked at the picture, but I didn't know who he was? He said the young man resembled my father (which I agreed), but it obviously wasn't my dad. It wasn't until x began reading the letter, sent from an old friend, of the man in the photo... that I finally realized who the man in the picture was. The man who sent the letter, thanked x for sharing his gift of music. And he also wanted to share a few things about his late friend, pictured in the photo. He told x about the good times, the bad times and the sad times, within this letter. He also shared the qualities and characteristics of this man and the similarities, he recognized in x. One thing he said, that struck me deeply was, "It's not only about what we do with our love and our gift, while we're here on this earth... but the impact that our love and gift will have on millions of people, long after we're in Heaven." He also wanted to give x a gift, like his friend would often do for others. The gift was a 1962 Ford Thunderbird. He ended the letter with this, "Though I speak with tongues of men and Angels, but have not love... I am nothing." We were both in tears after reading his letter. I stood up, to go get us some tissue and by that time x was hungry. He wanted something quick and light to eat, so I went to the kitchen and grabbed us a bowl of Cap'n Crunch. As, I walked back into the living room, I noticed that he had poured out all of the letters from his bag, onto the floor. There were letters everywhere, from all around the world. We stayed up the rest of the night and into the early morning, reading the letters. Some people shared pictures of their kids and families. And many people shared how x's music, had changed their lives. 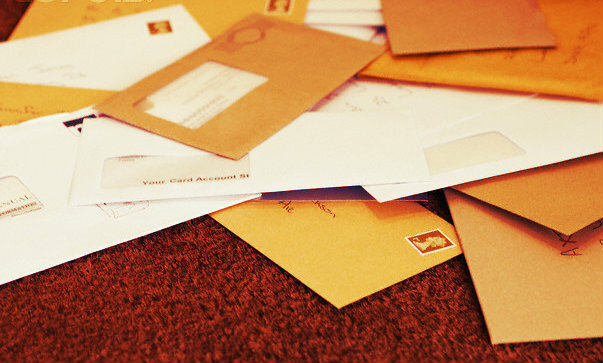 Some letters made us laugh, some made us cry, some were filled with love, and some filled with hate. I couldn't help but notice how his countenance would change, when he would read a hateful letter. It hurt me so much, to see him get upset or hurt over what someone said. It was like, one hate letter would cancel out 100's of love letters. It's amazing how powerful our words are and how they can affect someone, we don't even know. We have the power to speak LIFE or DEATH into someone's life and into our own life, by what we say. We can lift someone up or tear them down. Our words create motion. They can encourage and inspire someone to create, or they can cause someone to lose hope and give up. After x had read several letters, I felt so much compassion for the people that sent them. I also felt honored, that he shared them with me. I loved hearing all of their stories and how so many of them felt connected to x, through his music. Like I have said before... "Songs are like SECRET love letters to our soul." These people were giving back to x, because he gave to them, through his music. They just wanted to reach him, share with him, and touch him. I thought, that they must be wondering if their letters were lost in the mail, if he ever received them, and/or hoping for a response from him?! But how could one person respond to all of these letters? If he responded to some and not to others, it wouldn't be fair. And if there was no response, they would think that he didn't care. I wanted to reach out to every single one of them and give them a sense of peace, by letting them know... that he is reading the letters, he does care, he is thankful, and he does appreciate them, very much. You ARE reaching him and he IS touched by your words. After x had finished reading 100's of love letters, he asked me, "do you honestly believe, that you could love someone, that you've never even met?" I said, "Well, I wouldn't love Jesus... if I didn't." Stunned by my response, he looked at me for a moment with a smirk on his face. He then leaned over and whispered softly in my ear... "dove~love?" And I said, "Yes!" Before I fell asleep, I prayed for all of the people who sent him the letters. I then began to think that, sometimes our prayers feel like Lost Love Letters to Heaven. We often wonder if God hears our prayers and if He'll ever answer them? We want comfort and peace knowing, that He is listening to us, but we also want a response back from Heaven. What most people don't realize is, that God IS not only answering our Love Letters but He's sending us letters, too. He speaks to us in many different ways, through His word (a.k.a. His love letters to us, in the Bible), through other people, through music, and through our DREAMS. But most people throw these love letters out, like they are junk mail. Never opening them up, reading them, or ever responding to them. You SEE... our love, our prayers, our letters and our dreams, are never really lost. But it is up to us to decide, whether or not we are willing to give them and receive them. Elvis Presley wrote a Love Letter to God on a notepad from his Hilton Hotel suite in Las Vegas, on December 7, 1976. It was his last performance in Las Vegas and just months prior to his death. He then crumpled up the letter and threw it in the trash. The next day, the maid found the letter and took it out of the trash. But, it was retrieved and turned into a BEAUTIFUL song, by Elvis' friend, Wayne Newton. Love letters to Heaven... I am always curious to God's response to my "letters." But one thing I am sure of is that He reads them all and that is enough to give me comfort. Che bello sentire i tuoi sentiment Lisa. Your experiences are mystical and uplifting. I do look at prayers in the world as love letters and songs not written in sand but in the hearts of men. And God, in His own way do communicate with us in the only language that we understand (and most often times fail or ignore ) ~ love. It's not something comprehensible to the mind but it is as if two hearts speaking. I truly love your post and carry your words with me in my journey. Thank you for sharing this beautiful post. I'm deeply moved by what you have written, and also by the song you shared. I have not yet listened to the interview. Lisa, your post moved me to tears. 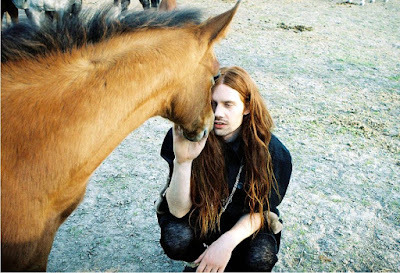 So beautiful, sensitive, and full of love for others, even those never met. And, yes, our words can either encourage or tear down, so we need to ever speak wisely and thoughtfully, loving others as Christ loved us. I really needed to read this message at this juncture. Oh, the power of words! Very powerful and moving words. Equally, we could talk about the power of love. Thank you so much for sharing your heartfelt thoughts with us. Great write!!! @Irene @ Inspiration From The Little Things: YES, He does read them all and will give us the DESIRES of our heart!!! Thank you for your SWEET comment! Blessings to you! @Harmony Courtney: Thank you for reading and commenting! I truly appreciate it! @melissa: AMEN!!! Thank you, BELLA! Love IS the key that UNLOCKS all things!!! ;) *da una bella anima a un altro. @Casey: Thank you for your BEAUTIFUL words. I appreciate it immensely! @Martha J. M. Orlando: AMEN and AMEN!!! Yes, we do! Thank you for reading and commenting! Blessings to you, as well. @Nikky44: Thank you Nikky! Yes, it IS the most BEAUTIFUL feeling! @Jan: Yes, I agree! The children are mostly affected by words. It is much different nowadays, especially with the internet. Many people post hate or negative things, without even realizing the damage they cause. Thank you so much for your comment. @Debra: AMEN! 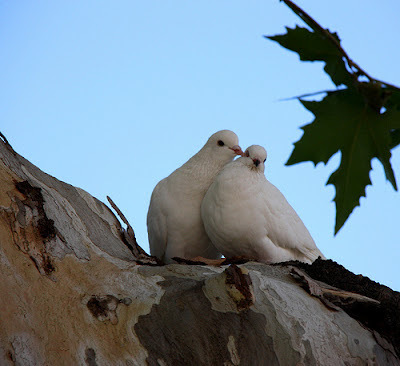 Yes, the power of words... and the greatest love of all "dove~love" from above!!! Thank you for your SWEET comment! @Andy David: Yes, true indeed! Thank you so much for the compliment and for reading! That's great. I love finding old things. I have college love letters in my attic somewhere. I added to my favorite friend's quotes: "We have the power to speak LIFE or DEATH into someone's life and into our own life, by what we say. We can lift someone up or tear them down. Our words ... can encourage and inspire someone to create, or they can cause someone to lose hope and give up." ~Lisa Marie. This is so beautiful again. 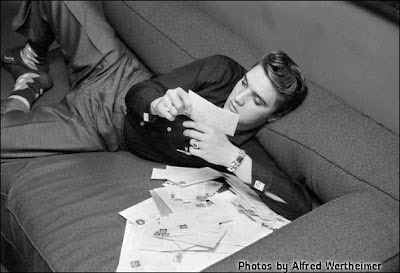 And the Elvis letter - wonderful. Never take these blogs down please. They are one of my few dream gardens. A dream garden for rationalists. To learn how to dream. Love you. You always encourage me somehow. @Dr Zibbs: Nice! Go dig them out! ;) Thank you for reading and commenting! @jcm manuel: WOW! I love "dream garden"... thank you for the HUGE compliment, ALWAYS!!! I truly appreciate it! @Rachel Hoyt: HAHA! Yes! Thank you so much!!! @Jerly: AMEN! I'm glad you loved it! ;) Thank you for this SWEET compliment!!! and i read it again.